You are here: Home » Things are getting weird. 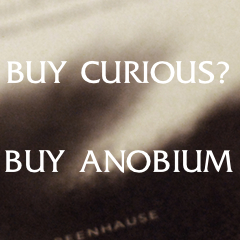 We’re currently putting everything together for Anobium: Volume 2. It’s turning into a luscious and unweildy creature. The above video is an unsettling selection from Blaster “Al” Ackerman, who we are featuring in our CURATORIAL section alongside Chicago’s Patrick Somerville and Jesse Ball. That’s all we can say for now. It’s gonna be a byoot and we’re going to have a release party for it and everything. For now, watch this weird VHS trash.